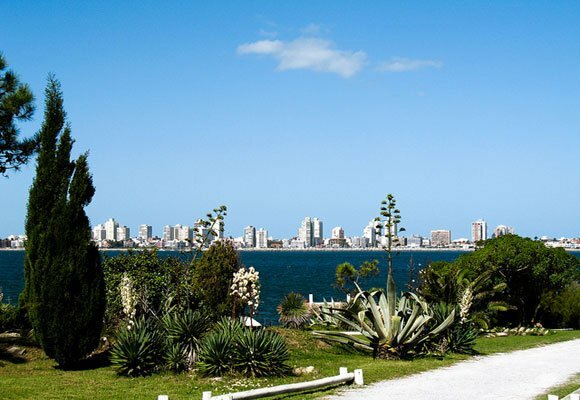 Punta del Este is renowned as South America’s premier beach resort.Cresting the hill at Punta Ballena, the sight of Punta del Este in the distance will make you stop and marvel. The wide, gentle shoreline, the blue water, and the sparking buildings rising up on the Punta del Este Peninsula paints a beautiful picture. Simply put, Punta del Este—while more expensive than other Uruguayan resorts—is where you can find the highest quality of life in Uruguay. As well as being a summertime resort (Uruguay’s summers runs from December to February), Punta del Este is developing into a real city. Just about anything a full-time resident could need is available there. There are lots of grocery stores, shops, dental offices, a shopping mall, three hospitals, four bilingual schools, and a new university. 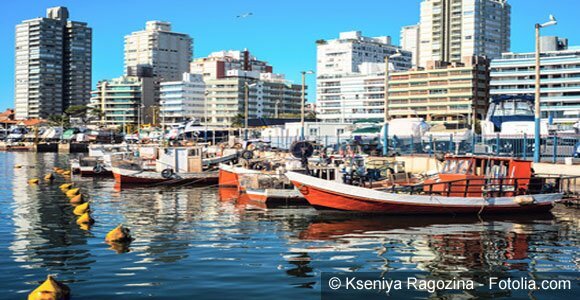 Retiring in Punta del Este will leave you with plenty of time to see what the city has to offer. 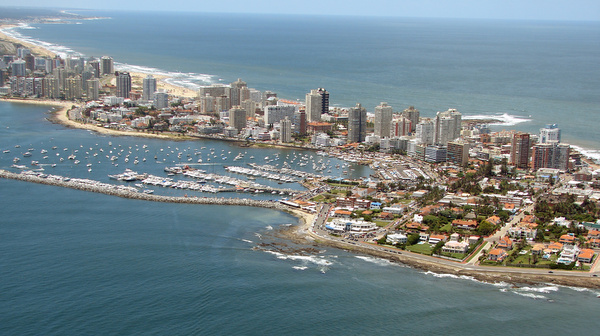 The Peninsula is where it all began and it is still the heart of Punta del Este. It has the most restaurants, several landmark night clubs, and a casino. It is also the location of Gorlero, Punta del Este’s main street, the “Fashion Road”, the artisan’s plaza, the lighthouse, and the marina. Those seeking a high standard of amenities and services are finding a convenient solution in Punta del Este’s broad selection of full-service residential towers. No place suits everyone, but Punta del Este has a pretty broad appeal. If you don’t like the crowds, all you have to do is live a short distance from town and you can avoid them. Part of the coastal development here is known as Pinares. While most everyone considers Pinares to be a part of Punta del Este, technically it is in the adjoining town of Maldonado where the property taxes are often lower. Punta has a growing year-round calendar of cultural and entertainment events. For those who like the outdoors, you’ll enjoy a great lifestyle in Punta del Este—there is golf, tennis, cycling, and running. Water sports include sailing, beach fishing, windsurfing, kite-surfing, and board surfing. One of Punta del Este’s most desirable features for both expats and Uruguayans alike is its relative safety. 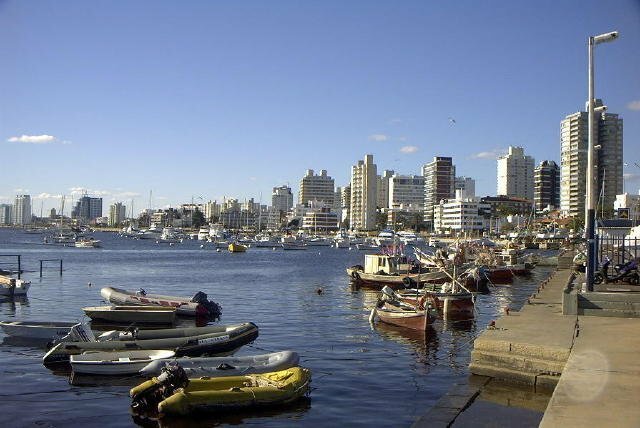 Uruguay is among the safest countries in Latin America, and Punta del Este is one of the safest places in Uruguay. Living in Punta is relaxing, with residential towers often equipped with gyms, swimming pools, saunas, as well as a variety of indoor and outdoor social areas. Building services can include 24-hour porter/security, daily maid service, beach service, and valet parking. Punta del Este’s real estate market has a very broad range of properties and property values with hundreds of apartment buildings. Some are simple four-story apartment complexes built in the 1970s and selling for a little over $2,000 per square meter ($186 per foot). Others are sleek new luxury towers, such as the coming Trump Tower, priced at $6,000 per meter ($557 per square foot). Between these, there is a broad spectrum of options. A three-bedroom three-bathroom apartment located about five blocks from the beach. It it high up, on the 15th floor of a building constructed in 2000. The interior is stately and tasteful. It has a formal dining table for eight and a small breakfast table in the roomy kitchen. There is a long terrace off the dining room and a service terrace. The building services include maid service, 24-hour porters, and the availability of laundry service. Amenities include a swimming pool, sauna, game room, gym, and a cafeteria. There are five large barbecues available for owners to use, complete with building staff to help with tasks. Price: $250,000. A single-family home west of the Punta del Este Peninsula, about six blocks from the beach. It’s a two-level home with a beautiful thatch roof built in 1995. It has three bedrooms and two bathrooms, plus a maid’s room and maid’s bathroom. It has custom wood doors and shutters, as well as wood kitchen cabinets and closet doors. It has tile floors, a fireplace, and a balcony. The home is located on a 6,458-square-foot corner lot. Outside it has a fully fenced yard, a covered porch, barbecue area, a circular driveway, and a swimming pool. Price: $280,000. For a modest apartment in Punta del Este, monthly rentals cost about $1,000. A good bottle of wine costs less than $10 and you can get local grass-fed beef with no antibiotics or hormones for a small fraction of the cost of North America and other countries. At the Maldonado farmer’s market you can fill up a large backpack of local produce for less than $15 and Punta del Este also has a local bus service to most places for just $1.